Set of 7 die templates. 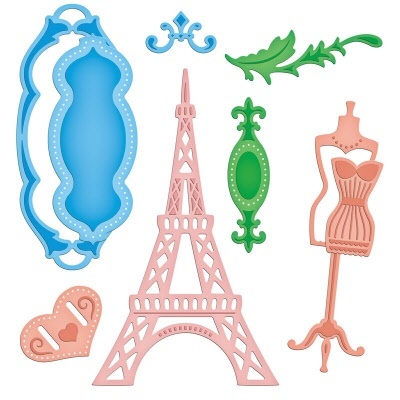 It celebrates the beautiful details that are indicative of France - the Eiffel Tower, high fashion, represented by a dress form, and an ornate detail in the form of a wonderfully versatile and detailed tag. Flourish: 2 3/8 x 5/8"